Happy employees are more productive, and employees are happy when they are allowed some degree of flexibility in terms of their work. By allowing them to work remotely, you help them avoid the hassle of commuting. Instead, they can work in an environment where they are comfortable. Also, it is a good way to reduce the risk of negative office politics. As mentioned, happier employees will be more productive. Allowing them to work outside the confines of the office will give them an incentive to work harder. Sometimes, a change of scenery is all it takes for employees to perform optimally. You can reduce the cost you will otherwise incur on providing space and resources for your in-house staff. 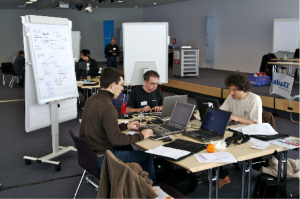 When working remotely, your team will not rely on you to provide them workstations and computers, etc. They will use their own resources. You can expand your team to beyond boundaries. Over the internet, you can find freelancers who specialize in certain tasks. You can delegate the tasks to them, even if they are located on a different continent. You no longer have to limit your talent pool to your city, or even your country. A number of studies have shown that a growing number of employees are happier when working from home as compared to getting a pay raise. Being allowed to work remotely is a major incentive as they only have to telecommute and can work at their own pace. The added benefit of greater leisure time offsets any inconvenience they face, and you get a more motivated team as a result. Team members who work from home will be able to enjoy a better work/life balance. This is one reason why employees consider being allowed to work remotely equivalent to receiving a pay raise. Your employees can actively pursue a healthier lifestyle and have to deal with less stress as compared to when they have to come to the office on a daily basis and go through the 9 to 5 grind (provided you don’t make them work long hours). Over time, this leads to greater job satisfaction and productivity, and reduced absenteeism. 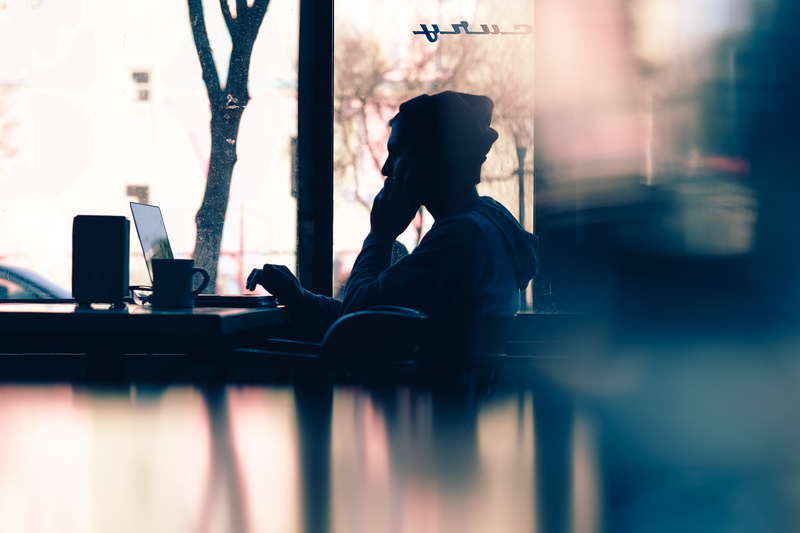 So, by allowing your team to work remotely, you can enjoy all the benefits of having an in-house team without having to bear any of the hassles associated with it. 1. Research and Implement Long Tail Keywords – When it comes to marketing your website online and generating organic, targeted traffic, it is vital that you implement long-tail keywords. Try finding relevant keywords that are specific to your services and which can position you as an industry leader. This ideally helps in customers finding you, hence boosting your traffic and rankings in Google. 2. Optimize for Target Audience, not Search Engines – Google has introduced various new changes in its algorithms that lay strict emphasis on user-friendliness. Therefore, those days are long gone where you had to optimize for search engines alone. The more appealing your site is to visitors, the better chances of your brand ranking higher. Focus on creating quality content that resonates with your target audience. 3. Choose a User-Friendly Design – In order to attract visitors and retain them into exploring your website, it is vital that you choose a user-friendly website design that delivers good functionality, responsiveness, and page load speed. You can find many websites that offer ready-made templates for different businesses and industries. Select one that is easy-to-navigate and pleasant on the eyes. 4. Add a Sitemap for Easy Indexing – Your website is ranked on Google, after being indexed by search engine crawlers that have the primary task of analyzing your website and its content. A sitemap make it easier for Google to index your pages. You don’t have to build this sitemap, as you can find plenty of tools online that can do it for you. You also have to add video sitemaps and alt image texts for your picture and video content. 5. Get Your Meta Tags Down – Your domain name and URL should be easy to read and understandable for people visiting your site. They should know what service you are providing and each page should provide a little detail to viewers regarding what info they might receive. Therefore, make sure to add relevant Meta Title and Description to all your pages. Meta Title should be around 50 characters and Meta Description should be limited to approximately 160 characters. 6. Monitor and Analyze Your Website – To ensure everything on your website works smoothly and figure out whether your strategies and technologies are working, consider monitoring and analyzing your website. You can use various target audience tools like Google Analytics for monitoring your visitors and see where they are coming from, what keywords are being search, and what content is gaining the most visits. 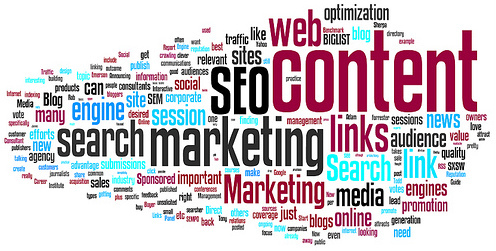 Therefore, now that you are familiar with the tips mentioned above, marketing your website online won’t be a problem. There is no doubt that acquiring the services of a professional web-hosting agency is crucial for the successfulness and growth of your website. It doesn’t matter if you’re new to the online word or have some experience in it. If you want your website to gain good exposure, web hosting is a vital aspect that must be given significant attention. Majority of companies make this silly mistake of hiring an entire IT department or an engineer for the management of your web hosting. While this may sound a good idea, it can actually end up costing you a lot. 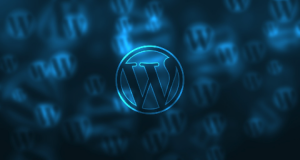 By outsourcing the task to professional web hosting services, however, you can significantly cut costs. You can even obtain remarkable 24/7 support, which guarantees business continuity. You won’t even have to worry about purchasing heavy equipment and machinery, as you can easily leverage the flexibility offered by web hosting services in terms of storage and bandwidth. The internet is the ultimate destination for exploring a wide range of options for even the simplest of product or solution. This means, you have a lot of freedom when it comes to buying stuff. As such, you definitely don’t have to buy your hosting and domains together. The truth is both items can be bought from different providers. In fact, it is only wise of you to check other websites out and leverage better prices. You don’t have to buy hosting and domains from the same seller. Do all businesses offer the same solutions? Do all restaurants have the same menu? Do all car dealerships provide the same discounts, deals, and specials? NO! Similarly, different hosting providers will offer a unique twist to their service. Some may offer better prices, others may provide better amount of storage and bandwidth. It is important that you learn what type of service you are receiving from other users. This is a huge misconception about web hosting services. Of course, where some agencies may charge a tad bit for their services, you can find plenty of professional companies that offer top quality hosting for less. As with most things in life, it is important that you shop around and check out different web hosting services to find one that best suits your needs and budget requirements. Read customer testimonials and reviews to get better idea on rates and services. If you want to take your website to the next level, make sure to acquire the services of a professional web hosting company. Avoid falling into the abyss of these useless misconceptions and myths. To help further make your decisions it is good to look at web hosting reviews websites to help make your decision easier. There are two basic requirements when it comes to making a website go live: acquire professional web hosting and get an appealing domain name. For the domain, you have plenty of websites online that can offer you a wide selection. However, for selecting a good web hosting, you need to conduct some thorough research about the available web hosting services. 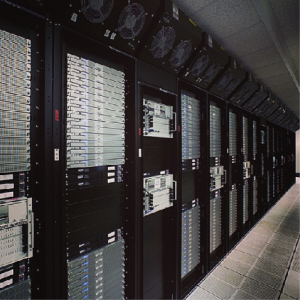 You can find plenty of hosting service providers online. Most of you may not have sufficient knowledge in this field. Therefore, being a novice of this platform, you can demand either a predefined checklist. Take the time out to read the checklist below for selecting the right web host in Naples. 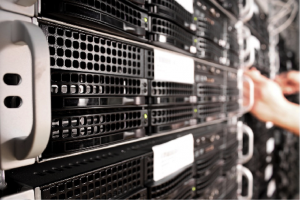 When it comes to selecting the right web hosting, it is imperative that you are wary of the data you can store. For medium to small websites, you’ll find that several gigabytes of storage are good enough for handling your website. Some hosting providers may even offer “unlimited storage”. Make sure to determine your needs and figure out what amount of storage would work for you. If by any chance the storage of your site exceeds, be sure to ask the agency you hire the process of upping your storage. When you are looking for a professional web hosting service, you can often see bandwidth and storage hand in hand. However, not many people know what bandwidth is and what kind of an effect it can have on your site. It’s the amount of data, your hosting will allow you and your visitors to download and upload in a given month. The higher the bandwidth you acquire, the better speed and responsiveness of your site and its functionality for viewers. Make sure to ask the company about their bandwidth plans. Once you get one site up and running, there is a 100% chance of you getting a second one up or maybe even a third. In such circumstances, it can be a pain for you to manage multiple hosting accounts for all sites. Therefore, make sure to ask whether the web host you choose will host multiple domains. There will be a limit on the number of domains, you can have on one account, and so make sure you discuss this with the agency. It is imperative that the web hosting service you hire provides support for your mobile app or website access. 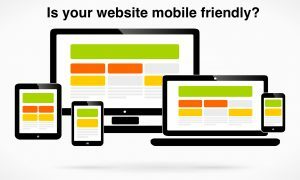 Since the mobile sit will be using the same domain, you need to be sure that your hosting allows you and your viewers to access the mobile version of your site. It is best to increase the amount of storage and bandwidth for your customers to enjoy excellent responsiveness. Last, but not the least, make sure that the web host you choose offers good customer and tech support. Check and ask whether they offer support in the form of live chat, email, or phone. You must get good response time in order to ensure continuity of website and business operations. A successful business always keeps a check on what its customers have to say about their processes, products, and services. Where big companies use big data and advanced machine-learning algorithms for tracking customer behavior and identifying trends, smaller businesses with fewer resources and budgets may experience trouble. However, by simply analyzing data collected from social media, you can gain incredibly insight into the minds of your consumers, allowing you to discover new opportunities while improving processes. Take out the time to read these seven ways below on using social media for predicting customer behavior. By monitoring, the most liked, commented and shared posts on your latest product offerings, businesses can understand what products are in most demand. As a result, this helps in understanding which products they need a boost in supply. You can even combine various trends from social media to build predictive models that aid in supply chain management. Nowadays, customers tend to be more active on their mobile phones rather than desktops and laptops. This has led to them responding well to hyper-targeting and having experiences that are specifically tailored for them. By monitoring social media data and most active profiles on your pages, you can better understand what customers need and create personalized offers for them. Social media is the ultimate tool for monitoring interactions and communicating with your target audience. This enables customers to present queries and ask questions regarding problems they are facing. Use this data for identifying where your operations are lacking. This can even help predicting if your customers are satisfied with yours services or not. One of the best things about using social media is that once you develop a fan base, build trust among customers, and provide unique offerings, you will find influencers who can boost your content. These influencers know the inside on what customers need and probably want. Discover and engage these influences to give your content a boost. Since you will know exactly what customers want by predicting their behaviors, this can go the extra mile in putting your content in front of relevant followers. Social media provides plenty of data for analyzing. Monitor each feedback and comment to figure out what issues your customers are facing and how you can provide solutions and improve your customer support. The best companies always share customer-related data obtained from social media and other sources to their support teams for increasing sales and conversions. Predicting customer behavior can easily be done by posting images, videos, and infographics that provide customers with valuable info and further urging them to reveal what they want. With the right program in place, you can easily detect how many customers pay attention to your posts. Use this intelligence to win new customers and bring old ones back. So, now that you are familiar with the ways mentioned above, predicting customer behavior using social media won’t be a problem. Those days are long gone when customers visited brick-and-mortar stores directly to buy a particular product or acquire a service. Nowadays, almost all customers check and research about brands online to determine their trustworthiness and quality of service. Therefore, if you want to increase the exposure of your brand, investing in a professionally designed website is important. Of course, finding the right agency for the job takes time. 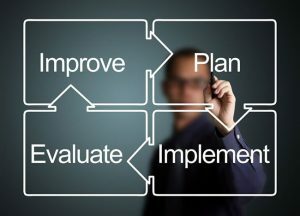 By educating yourself, however, you can see what the process looks like and take the time out to choose someone who can complete your project. 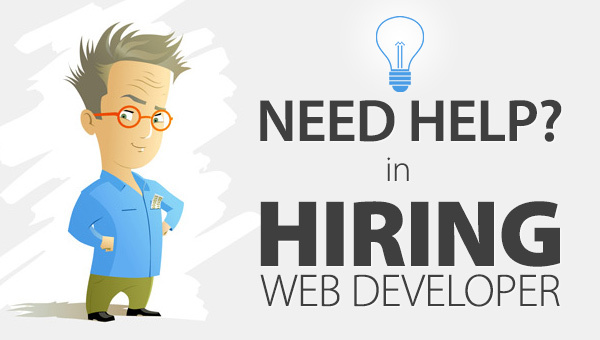 So, take the time out to read these five things below before contacting a web developer in Naples. Your website will be displaying the core values, mission, and aims of your business. This requires you to assess your needs and determine what you want your website to reveal. 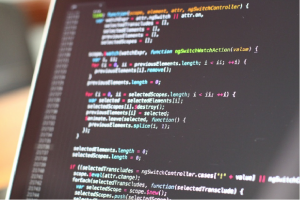 You need to have a plan in place prior to getting your website coded and working on its SEO. Figure out what you will write for the description, how you will sell your products, and whether or not you will introduce special deals and discounts. Your website has to have goals and you need to prioritize them. Although most websites plan to target their main audience after the designing is done, it is better for you to determine this factor beforehand. Figure out who will your customers be, how they will get to know about your brand, and what different can you offer from the competitors. It is a good idea to check out competitor websites to get an idea on how to target your content. This can enable you to leverage good strategies and technologies that might help your website rank better in the future. Neither the developer nor the designer can get you here. You need to give considerable thought to what unique service you will be offering to your customers. Bear in mind that you need to offer something different in order to get people to do business with you. In one sentence, figure out “what makes you better than your competition?” Once you have all this sorted out, you can easily present your unique proposition on your new website. (Remember visitors are just a click away from checking out another website). This may sound a tad complicated, but there’s nothing to worry about. 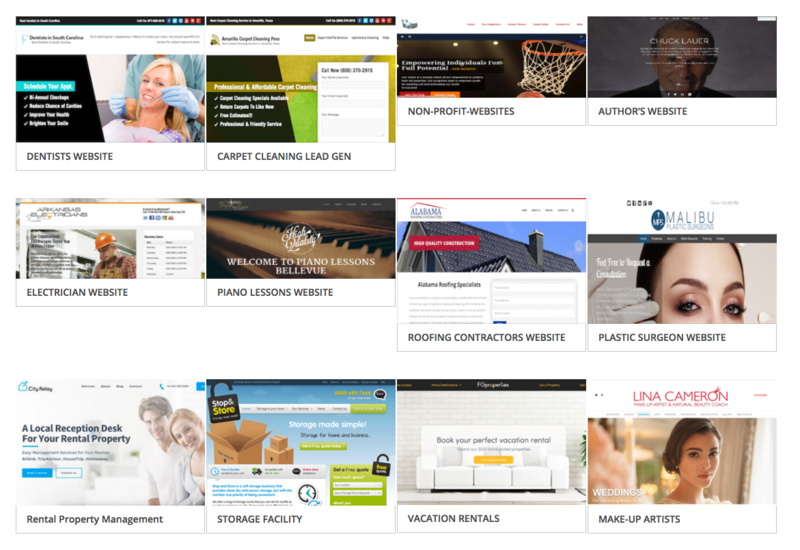 Try looking for a few website templates tailored specifically for your services and based on your business industry. This can give you an idea on how to lay out the menu structure of your site. Bear in mind that each page should have a hierarchical order and a solid purpose. This way, you can help visitors efficiently navigating through your site. Think of it as “blue prints” of constructing a home. Last, but not the least, figure out what content you will be adding on your website for attracting customers. Your content must be unique, appealing, and informative to customers and shouldn’t just be limited to text. Make sure to leverage image, video, infographics and other graphic mediums for proper representation of services. Social network advertising is the new method of server hosting marketing for both big as well as tiny companies. It doesn’t matter whether you have 50 clients or five million; your business could benefit from the power of advertising and marketing via social networks. Here are eight effective methods that will bring you the most benefits if you desire to improve your marketing and also enhance your sales. One of the greatest benefits of advertising with social media sites is that your clients are currently on the social networks. They have Facebook profiles, follow their Twitter streams and on a regular basis watch videos on YouTube. With this power, you don’t need to wait for your consumers ahead to you or the server hosting marketing networks you have actually utilized in the past. You could instead target them in an atmosphere they already feel comfy making use of. This will make it simpler for them to navigate your messages as well as construct partnerships with your company. You obtain the chance to prepare the conversation when you make use of social media to connection with your target market. Customers have more power than ever to investigate their acquisitions beforehand and also to learn what others have thought of your products. Many individuals look online best web hosting for both positive and also negative evaluations prior to attempting a brand-new business. Via social media sites, you can determine exactly what aspects of your instrument individuals will focus on. Begin discussions and ask people concerning their preferred features. Begin a dialogue to find out just what improvements people want to see made. When you’re open about your company, clients will certainly know they can trust your brand. Though you could already know how crucial it is to develop your rankings on search engines to make sure that you get even more traffic, you additionally have to consider your server hosting on the internet credibility. Once they find your web page, a high-level on a search engine doesn’t mean much if people do not recognize whether or not to trust you. By using social networks to get in touch with your clients, you create a sense of social evidence that will certainly make brand-new customers feel much more comfortable associating with you. While a lot of marketing solutions will assist you to remain on the very same degree as your rivals, there are few that enable you to so conveniently monitor exactly what your competitors are doing. When you’re proactively engaged in social networks, you could conveniently check out approaches that firms utilize in order to determine just what’s working and what’s not. Social media site advertising and marketing also provides you the opportunity to start developing partnerships with many others entrepreneur. You’ll have the ability to make brand-new links that can conveniently take your company to new elevations. It’s a basic tenet of social media, however still important: utilize social media networks to build relationships with your customers. This is maybe the most extensive benefit that social media domain hosting could offer your company and also it will certainly bring you significant outcomes. Always provide your clients with as much pertinent info as possible. Your emphasis needs to be on giving them with helpful material before you begin pitching any kind of products or services. 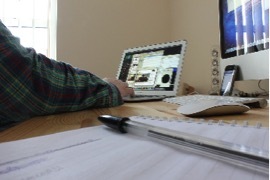 Post links with Twitter or facebook to interesting write-ups or research studies that are relevant to your sector. You can additionally use an URL shortener like bit.ly to pack much more into your tweets. Make certain you’re providing the ideal sorts of discount rates to your clients. A coupon or sale that will in fact get them in the door to your business or have them inspecting out your purchase page could be a wonderful financial investment. 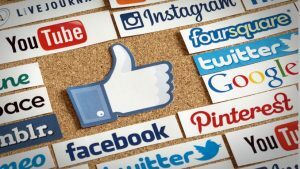 While it can definitely be beneficial to provide people an offer for liking your Facebook page or following you on Twitter, in many cases, you need to concentrate much more on clients that are currently curious about just what you have to supply. A paying client is more valuable than a follower who might not ever examine back. Focus on the best web hosting social networks channels that relate to your client base and also make sure that you’re always keeping your reader in mind. The most up to date networks might feel like a fantastic chance, yet if your clients aren’t utilizing them, you won’t locate brand-new clients or many fans. Instead, focus on using the social media sites advertising and marketing devices that your clients understand and also want to make sure that you involve on a deeper degree. This is the best objective of taking part in the social media sites domain hosting, it ought to be the last attempt. 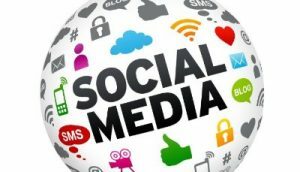 You could utilize these websites to offer straight once you obtain your customers engaged with your brand making use of social media channels. Facebook pages make it a bit simpler to set up an online shop. For various other channels, you have to be creative. You could promote the very best server hosting marketing or clearance items utilizing these networks. 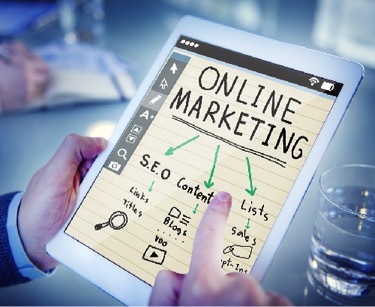 There are several internet marketing choices readily available today that your local businesses can make use of to enhance your website traffic, leads, and sales. In the past, there was print marketing, radio, and TV. Although these are still used today, there are a variety of online-based options available that can be much more cost conscious. 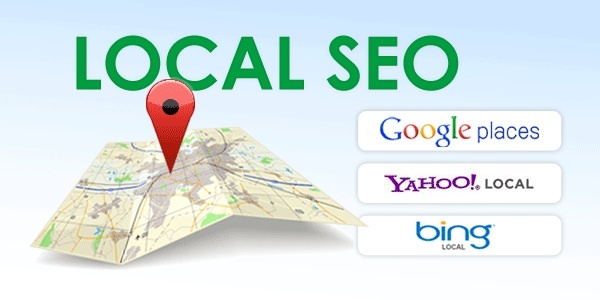 Local seo is always going to create results. According to Pew Research Center, “Roughly nine-in-ten American adults (92%) own a mobile phone of some kind making it extremely vital that a regional companies have a strong neighborhood search visibility. You will certainly want to claim your neighborhood listings on Google+, Yahoo Local, Bing Resident, as well as other prominent business listing directory sites. After completing your account you will have to verify you are the owner of the business listing various confirmation methods. In addition to the “large 3” there are added regional listings that you should ensure to include, such as YP.com, Yelp, foursquare, and industry specific company directory sites. It is essential that you fill out each account thoroughly using accurate and consistent data on all your local listings. Developing a blog on your website that is regularly updated is a wonderful method to increase your neighborhood search exposure. Your blog will allow you to produce material that targets neighborhood keyword phrases and search terms related to your business. Blogging supplies a terrific SEO benefit, likewise it provides your website visitors and search engines info to check out every time they see your website. Blogging can actually enhance your regional search reach, so be sure to include it in your marketing initiative. When it comes to being found in a regional search, your on-page optimization is extremely crucial. Numerous companies can rank on top if they just have solid on-page optimization, so it is very important that you put in the time to effectively maximize every one of your on-page variables prior to any link building or citation structure. After that, you are at a significant disadvantage in terms of neighborhood search, if your internet site is not responsive (works on all mobile, tablet and desktops). With numerous neighborhood searches being executed on mobile and tablet devices it is crucial that your internet site offers a positive experience to those that are seeing it from these devices. If someone visits your site on a mobile phone and has a difficult time browsing. They will merely leave and find a website that is enhanced for their needs. The small investment to transform your website into a responsive layout is well worth it. Mobile website traffic continues to rise and there is no indication of it decreasing. Having favorable reviews online gives you credibility, something that future consumers proactively try to find. It is important that you provide an incentive for your customers to leave reviews as it can be the difference between you getting a job versus your competitor. Most customers will certainly be more than pleased to give their comments if they are simply asked. You can create a page on your web site that displays all the reviews or you could send an email to your customers requesting for responses. 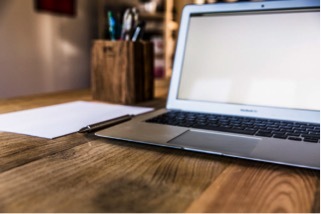 When you are creating business listings or citations, it is necessary that you are maintaining consistency when it involves your NAP (business name, address, and phone number). It is vital that it consistently shows up on all directory site listings precisely as it shows up on your site. For example, if you spell out “Road” on your website then do not abbreviate it as “Rd” on any of your company citations. Keeping this consistency will aid to enhance your regional SEO. It is also an excellent idea to audit all your company listings and deal with any type of discrepancies to make sure everything is consistent across the board. Social media sites are a must for your regional search advertising and marketing initiative, however it is counterproductive to try to be energetic on every social media platform, but there are the advantages of the backlinks if you are using them for links. Be sure to research the media outlets that your target market is energetic on. Once you have recognized the proper social networks systems to be energetic on, you will need to produce a publication schedule. 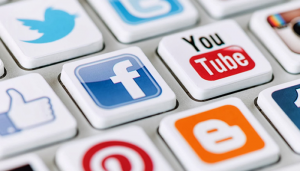 You will need to share your posts on these social media sites, and interact with your audience daily. Consumers respond better to visual content, so make use of pictures, videos, and infographics if possible. This helps your site visitors stay on your website longer, enhancing the opportunity of them becoming a lead or sale. Engaging web content that is loaded with helpful pictures or an infographic helps your website attract incoming links from various other sites. Focus on improving the customer experience and sharing value with the customers. In return your content will be rewarded as customers will share, aiding your regional Search Engine Optimization effort. Fancy graphics, computer animation, and shocking features are not likely to assist your website’s local search. However, you should concentrate on individual encounter initially, making certain that everybody that arrive at your website can easily navigate it. It is also very important to have a call-to-action. This will direct the visitors on your site on what to do once reaching the site. 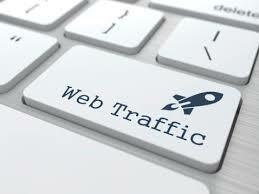 If your visitors leave right away, it could lead ranking decreases and web traffic. A sleek layout and simple navigating is key. The goal of every website is to develop an action. This could be a physical location to go to, a call, a contact or type demand being filled in, or an acquisition being made straight on the internet site. Make it as straightforward as possible for your site visitors to complete your wanted activities. The previous nine ideas that we just covered should be frequently attended to. To dominate your neighborhood market you need to constantly be one step ahead of the competitors. There is constantly area for renovation, so do not hesitate to examine and make changes. You will be stunned that even the smallest changes could lead to some very positive traffic or conversion on your site.